Monroe Township Police Department is currently seeking accreditation status with the New Jersey State Association of Chiefs of Police. This process is managed out of the Training & Accreditation unit under the guidance and supervision of Det. Derrick Jacobus. 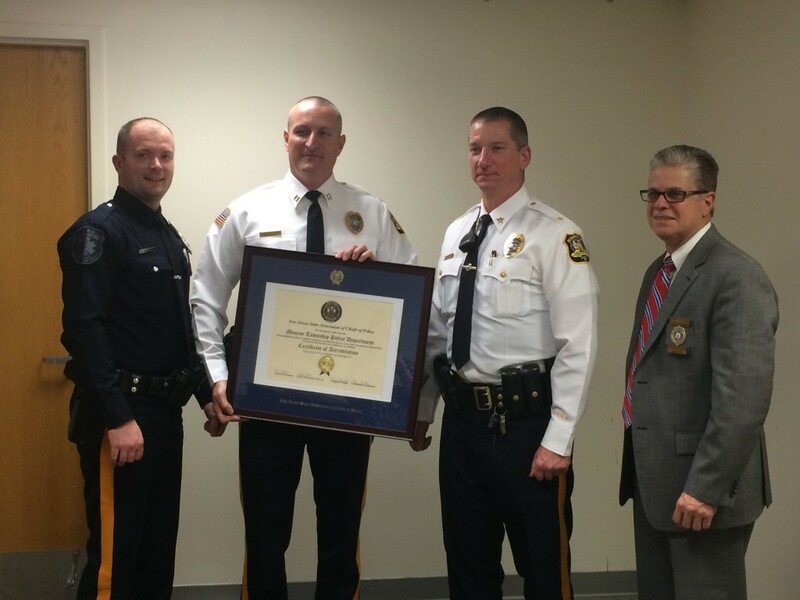 The New Jersey State Association of Chiefs of Police has pursued the concept and development of a voluntary statewide law enforcement accreditation program for New Jersey. This effort has resulted in the formation of the New Jersey Law Enforcement Accreditation Commission (NJLEAC), consisting of commissioners appointed by the (NJSACOP). Personnel from NJSACOP provide support services to the Commission and to applicant agencies. In June of 2017, assessors from the New Jersey State Association of Chiefs of Police Accreditation Commission came to inspect our department for re-assessment. Our department applies for re-accreditation every three years. Members of administration and accreditation team attended the New Jersey State Association of Chiefs of Police Accreditation Commission Hearing, in South Brunswick NJ in October 2017 and was unanimously approved by the Commission and is now Re-accredited as a Law Enforcement Agency until 2020. If there are any questions or concerns about the accreditation process for Monroe Township Police Department, please contact Det. Derrick Jacobus at (856) 728-9800 x501. The Monroe Township Police Department was unanimously approved by the Commission and is now an Accredited Law Enforcement Agency. Members of the Monroe Township Police Department should take pride in knowing that you are a part of an elite group of police agencies that have achieved State Accreditation.